SEA school and college is an educational institution established with the mission to provide quality education and state-of-the art facilities to the students of District Swat. Education plays a vital role in the development of any nation. In our country the acquiring of quality education and getting admission in such an institution which fulfills the demand of the present and future challenges is itself a challengeable task for parents and students. Furthermore unbearable admission and tuition fees with other huge expenses has disappointed the parents and students to think about standard education and an institution which provide the required facilities to the students. We firmly beleive that SWAT EDUCATION ACADEMY SCHOOL&COLLEGE BARIKOT meets and surpasses the demands of the students of this area and by God willing will be an exciting and excellent choice for your future studies. This ambitious institute will higly contribute in the character building up of our students and provide amongst the best to the nation for national development. 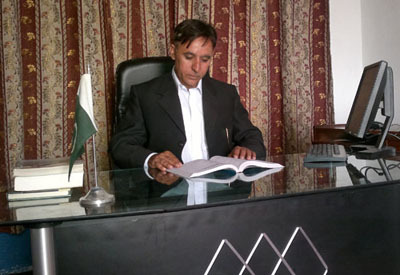 We have prioritized our national , cultural and religious demands and future challenges and will struggle hard to impart quality education with social and moral development and professional skills to provide useful citizen to the country to serve for the cause of islam and pakistan and also to contribute in the scientific and technological development of the entire world to serve the humanity regardless of the ethical background.